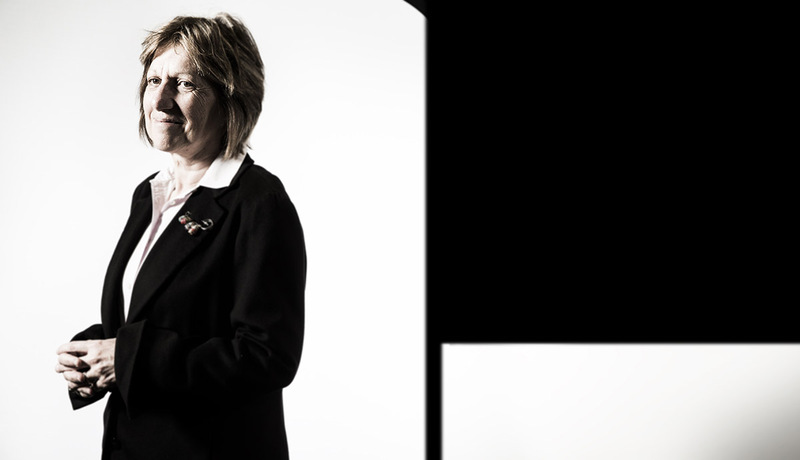 Professor Judy Raper is a chemical engineer, educator and leader on the international stage — widely recognised for her exceptional contributions to the field. She caught up with create to talk about her career and the changing face of the profession. Raper, the Deputy Vice-Chancellor (Research and Innovation) at the University of Wollongong, has a sizeable swag of awards to her name. She recently received this year’s University of New South Wales Ada Lovelace Medal for an outstanding woman engineer, and was the 2017 recipient of the Engineers Australia Chemeca Medal — Australia and New Zealand’s most prestigious award in chemical engineering. Raper is the second woman to be awarded the Chemeca Medal in its 36-year history. UNSW has also recognised Raper as a role model to female engineers with the annual Judy Raper Award for Leadership, which was this year presented to Marika Calfas, the chief executive of NSW Ports. In spite of the accolades, Raper is humble and down to earth. When asked what it meant to her to be named Australia’s top female engineer, she told create it was a “thrill”. “I guess I don’t normally think about awards or being recognised – it doesn’t motivate me particularly. But it’s nice to think that people see that you’re doing a good job,” she added. Raper is passionate about engineering, but admits that she didn’t really know what she was getting herself into when she started her career. “I liked maths and chemistry at school, and one of my brother’s friends said ‘don’t do engineering, it’s very difficult’. So that made me want to do it,” she said. Fortunately, Raper enjoyed her undergrad chemical engineering studies at UNSW, especially the opportunities for problem solving. “I think it’s an important discipline — and fun. And it makes a difference to people’s lives – that’s the really important thing,” she said. After completing her bachelor’s degree, Raper undertook a PhD investigating mechanisms in distillation columns, followed by a postdoc project on air pollution in a nuclear application at the Atomic Energy Authority at Harwell in the United Kingdom. “I realised that I was the best in the world at something,” she said. When Raper returned to Newcastle in NSW, she decided to apply her knowledge to a local issue, and specialise in particle technology, applied to air and water pollution. “In Newcastle there were a lot of coal mines and particle technology was important for the region,” she explained. Raper also worked on secondment to the National Science Foundation in Washington. This gave her the opportunity to see what sort of research was being done at different universities, and learn about how the US government funds engineering and science research. “It’s not that different [to Australia], but there’s much more money, and a lot more schemes. So there’s a lot of different opportunities that we don’t have,” she said. As UNSW’s first female chemical engineering graduate, Raper has been pleased to see more women enter the field. During her keynote speech at the Chemeca 2017 Conference, Raper noted that the proportion of chemical engineering students has risen from 6 to 10 per cent in the 1980s to 35 to 40 per cent. But she noted that there was more work to do to bring greater diversity to the profession. Women make up only 18 to 20 per cent of engineering students overall. And in senior roles and board representation, the ratio drops to 15 per cent. Raper believes bringing people with different ways of thinking together leads to better innovation and outcomes in both academia and industry. “And when I talk about diversity, I don’t just mean greater representation and opportunity for women; I mean diversity across the board: racial diversity, cultural diversity, diversity of backgrounds, diversity of experiences,” she said. Raper thinks that chemical engineering has attracted more women than other specialisations because it has been successful in showing the wide range of career opportunities. “Chemical engineers can work in a huge number of areas … mining, consulting, environment, beauty products, food … and they were successful at demonstrating that right at the beginning,” Raper said. She contrasts this with the stereotype of hard hat-wearing, ladder-wielding engineers with a clipboard. “How many ads have you seen for engineering jobs or courses with men in hard hats, and how many engineers wear hard hats? Not all of them,” she said, pointing out that all engineers can work in a broad range of industries. Raper also said that engineering education needs to change to keep up with the times. As Dean of Engineering at University of Sydney she established the Advanced Engineering Program which introduced problem-based learning. She believes increased emphasis on practical learning is essential, and thinks lectures “should be dead”. “Engineers make things, they should start making them from when they are students,” she explained. Raper also said that the ability for engineers to collaborate with other disciplines is becoming increasingly important. “We were taught that engineers can do everything, and that’s not true. We need to appreciate the other disciplines a bit more,” she said.